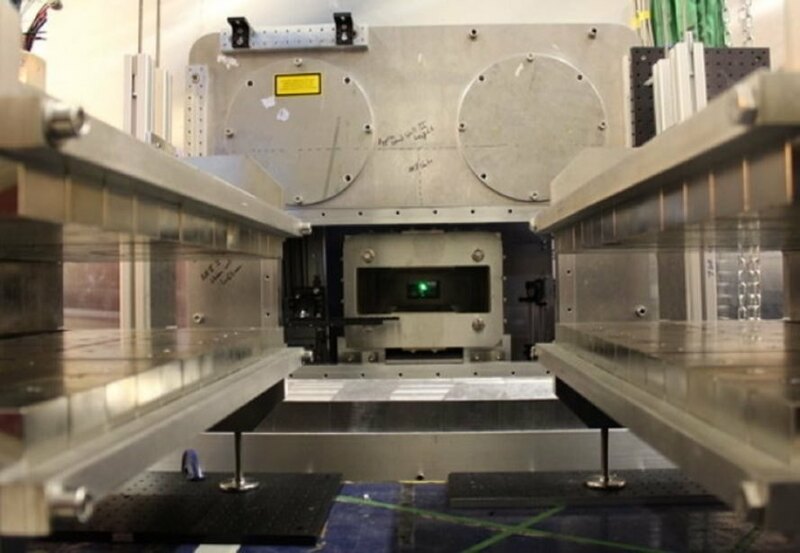 The Imperial team’s system centers around two lasers, which create two different kinds of photons to be smashed. One photon has the energy equivalent to ten thousand times that produced by visible light, while the other has that of one billion times that of visible light. 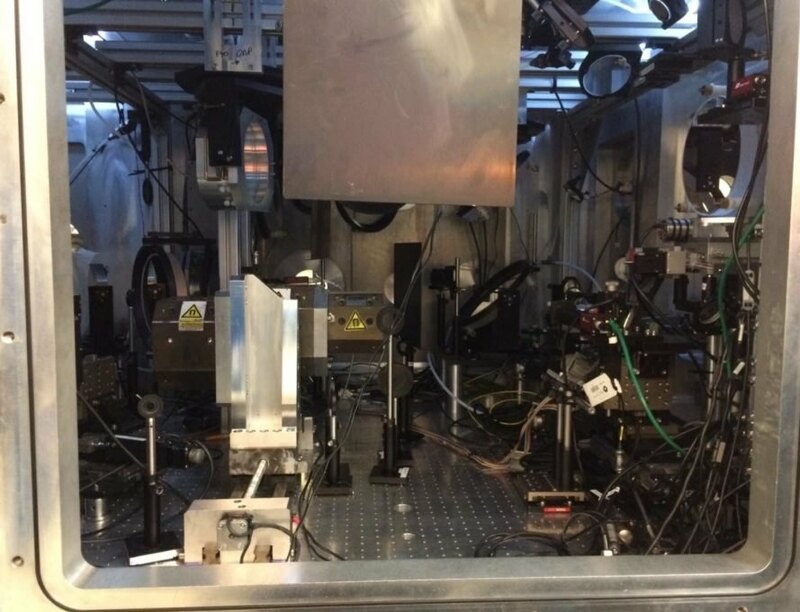 Both lasers are aimed at two small targets in the target chamber, where the charged particles are deflected and documented. The team will be observing the particles bouncing from the collision to see if they were successful in creating matter from light. The target chamber in close-up, showing where the lasers will be focused in the attempt to turn light into matter. The target chamber of the experiment from afar. A team member stands by the target chambers used to conduct the light-to-matter experiment.